Welcome to The Enchanted Poodle Club, Inc. website! We are happy to share the joy of this versatile, intelligent, and fun breed. 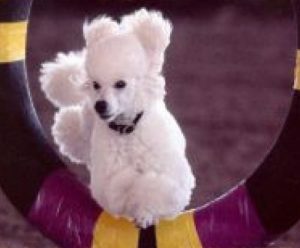 We sponsor the Poodle Specialty Show in May, participate in several dog related events in Albuquerque, and have an active rescue program. We also have weekly Poodle walks where all are welcome! We hope to help prospective poodle owners understand the three varieties of poodle, their characteristics, health issues, care, and training. 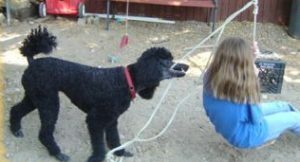 We would be happy to answer any questions you have so that you can be sure that the poodle is the right dog for you, and you are the right person for a poodle. We have information on finding an ethical breeder on our site here, and information on our current rescues here. Our meetings are the last Sunday of the month unless another event takes the place of our meeting. Please join us to meet our members and learn about what we do. Meeting and event announcements are posted in our blog. You are welcome to call or email Barbara Timmcke at (505) 220-7206 for information on events and membership. 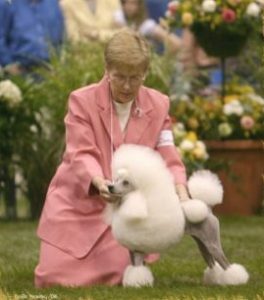 The Enchanted Poodle Club was founded 50 years ago, and is dedicated to the purebred poodle. We have members from New Mexico, Colorado, Texas, Arizona, California and Germany. Guided by the Officers and Board of Directors, club membership is open to all poodle lovers. The Enchanted Poodle Club, Inc. is an affiliate member of The Poodle Club of America which is a member of The American Kennel Club.